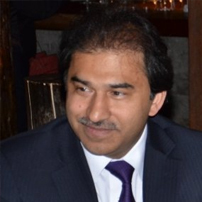 Orthopaedic Surgeon with over 15 years experience at Consultant level in UK, Pakistan and Saudi Arabia. Fellow of Royal College of Surgeons/Physicians, Glasgow since 1993. Medico-legal Examiner for Orthopaedic Injuries and Expert Witness since 2006. Director of Business Award winning Medico-legal Firm in 2011 by Havering Borough of London. Microsoft Certified Specialist since 2001 and has instructed over 60 seminars and courses internationally to Medical Professionals on Medical Computing topics. Has designed 15 web sites and software packages related to Online Education Portals, Medical & Business Admin, Client Management, Video Productions and Web TV Channel Management. Designer of Web-based TV Channel and recording Studio (TVapex) and a Conference Centre (Apex Centre) for promoting Community Engagement and Exchange on Business, Educational, Cultural and Social levels. President of World Congress of Overseas Pakistanis (UK Chapter).